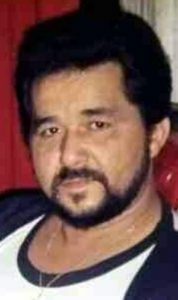 Iluminado Martinez Jr., 76, of Lancaster passed away Tuesday, April 9, 2019 at LGH. Born in Morovis, Puerto Rico he was the son of the late Iluminado Martinez Sr. and Basilisa Santiago. He worked for the Puerto Rican government in NYC for over 15 years. Iluminado was a good baseball player and was a talented singer. He is survived by his five sons, Dennis Martinez of Lancaster, Kevin Martinez of NY, Hernan Martinez of Oklahoma City, OK, Iluminado Martinez III, Anthony Martinez both of NY. Also surviving are his siblings, Felix Martinez of Lancaster, Elizabeth Martinez of FL, Carmen Iris Martinez, Ruizzo Martinez, Monserrate Martinez all of Lancaster and numerous nieces, nephews and extended family. He was preceded in death by his brother, Rafael Martinez. A Prayer Service will be held at 11AM on Saturday, April 13, 2019 at the Charles F. Snyder Funeral Home & Crematory, 414 E. King St, Lancaster, PA 17602. Interment will follow in Mellinger Mennonite Cemetery. A viewing will be held from 7-9PM on Friday, April 12, 2019 at the funeral home and again from 10-11AM prior to the service on Saturday. My condolence to Junior and Kevin Martinez. May your Dad rest in peace.